Fall in love with this unique knitted cushion, handmade using pure lambswool to compliment any home. 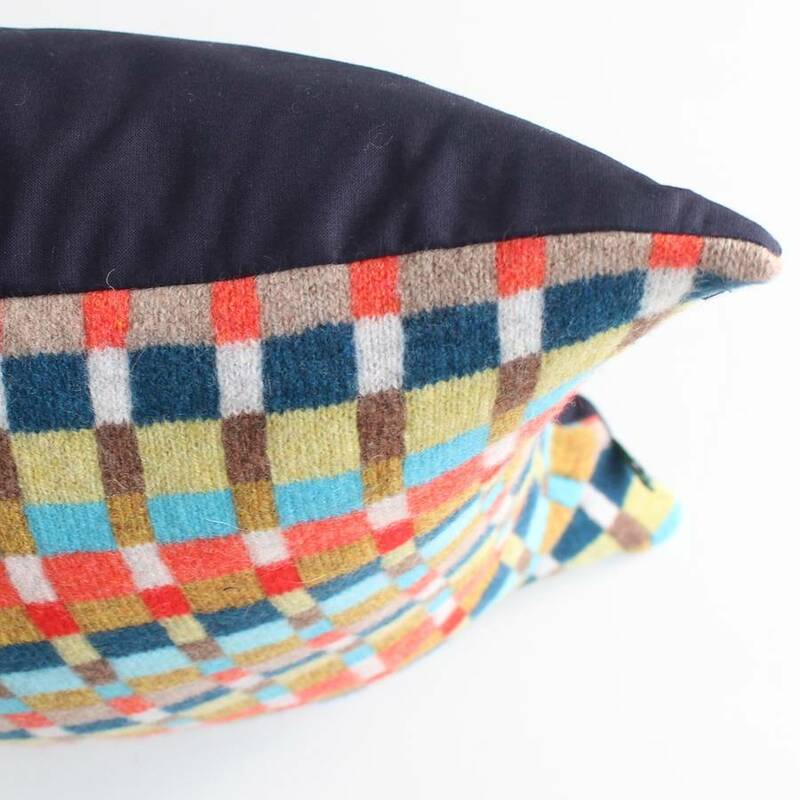 A striking addition to any home this beautifully unique cushion is made using a variety of bright hue's from red to teal blue and gold to an earthy brown, this cover would create a real splash of colour to any style conscious abode. 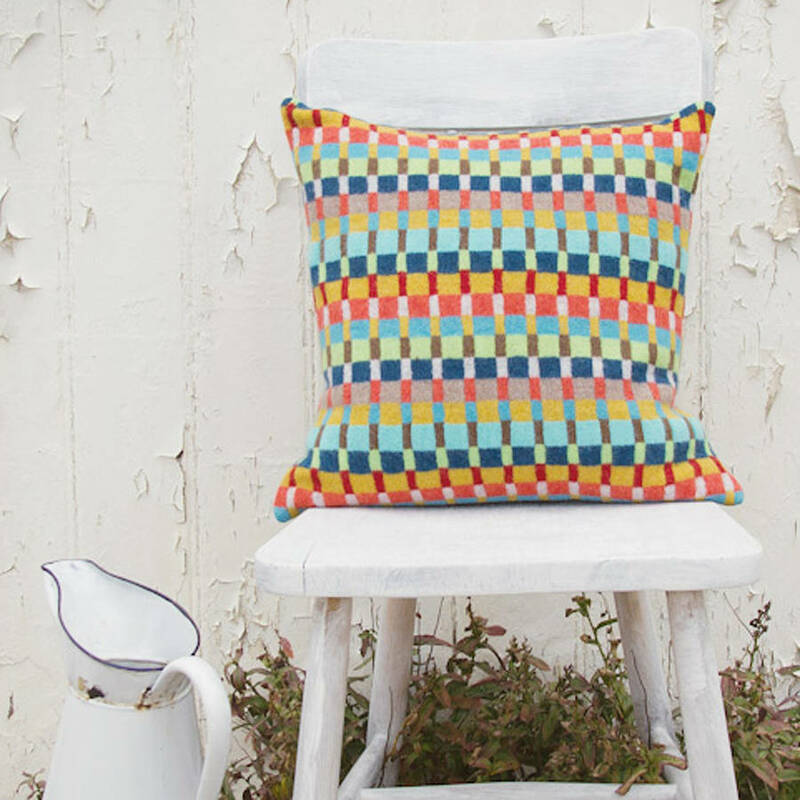 Whether scattered on a sofa with others or left on it's own, this beautifully made cushion would create a real statement piece in your home. A great idea for an unusual gift this cushion would be a real treat to anyone's home, whether as a wedding gift to a stylish couple or as a new home gift to an appreciative loved one, this is a great idea for anyone who loves luxury. 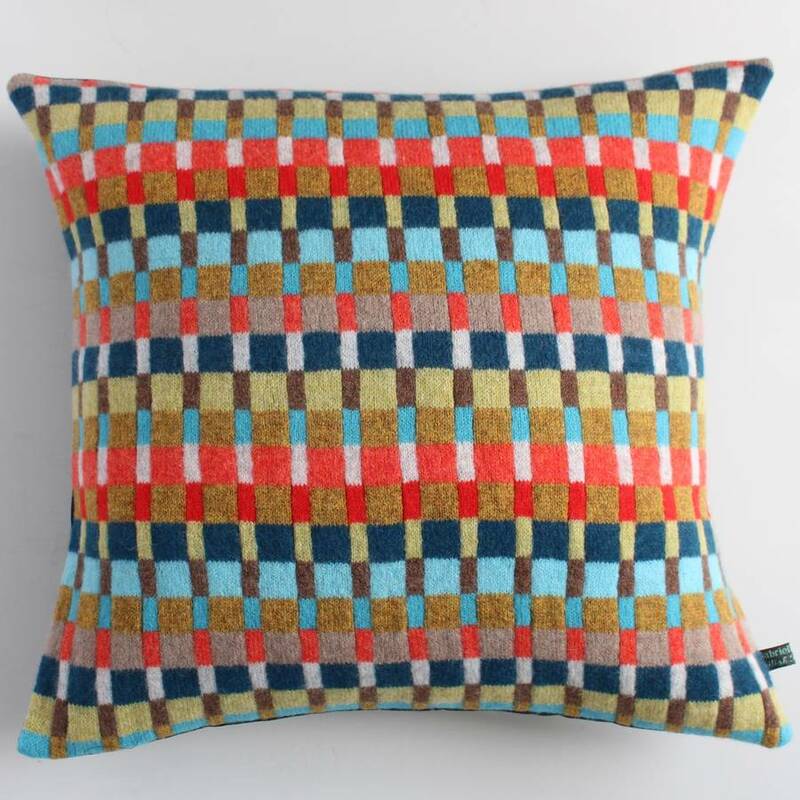 Designed and knitted in Gabrielle's Brighton based studio this cushion is made by hand with unsurpassed attention to detail. 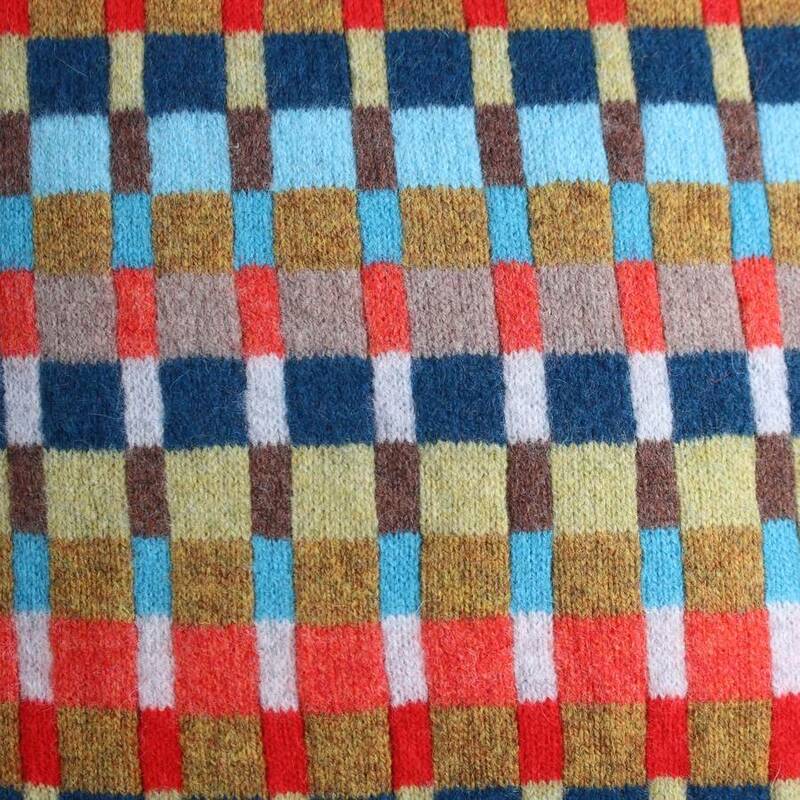 Front cover knitted in a multicolour check using pure British lambswool made on a domestic knitting machine, back cover 100% cotton fabric backing in navy blue. The high quality lambswool ensures the softest of cover for your cushion, perfect for a snuggle up by the fire for the ultimate in comfort. Inner cushion pad stuffed with duck feather. If you would prefer polyester filling please get in touch. This product is dispatched to you by Gabrielle Vary Knitwear.